Mathematical precision is awesome. Guessing or going by eye is not. For the years I’ve used Illustrator I never knew this following tip. 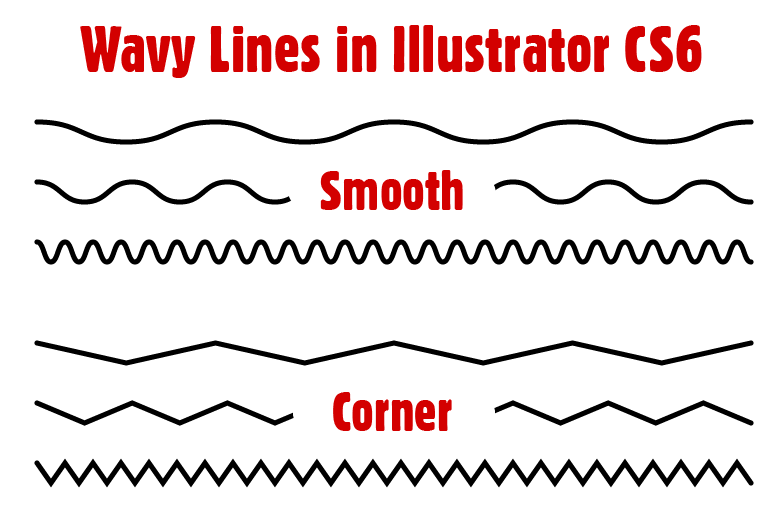 Of course there are ways to accomplish wavy lines, but Illustrator contains an awesome feature for creating wavy lines (or even wavy objects) that allows you to tweak and adjust the “waves” as you’d wish on-the-fly with a live preview. In my version of Illustrator CS6 simply draw a line with the line tool (or any shape for that matter) and then go to the Effects in the file menu and choose Distort & Transform, then Zig Zag. This will allow you, with the preview box checked, to see the results of your inputs on-the-fly. The options are pretty self-explanatory so I won’t go further into detail about the interface. After clicking OK the changes you’ve made are editable. Yepp. Want another ridge? Just add one. 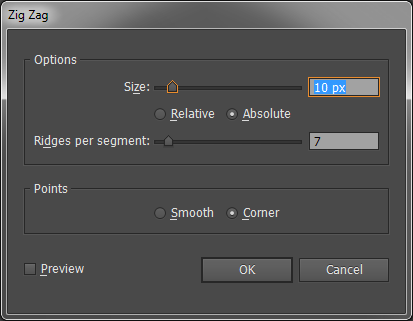 Most editable filters in Illustrator are seen applied in the appearances panel. I always have the appearance panel open while working in Illustrator and can’t emphasize enough that you should be using it if you aren’t all ready. View it by choosing Window from the file menu and picking Appearance. There you’ll see the filter applied to your selected object or line. You can just click the filter there to make further refinements at any time.